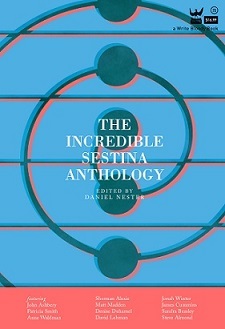 It was a big week for The Incredible Sestina Anthology publicity last week! In case you missed this academic marvel, we were reviewed by Ben Yagoda in The Chronicle of Higher Education. Yagoda writes that this is the anthology he had been “waiting 40 years for… without realizing it.” His review includes the first stanza of Elizabeth Bishop’s “Sestina” (maybe you’ve heard of it?). Yagoda also name-drops some of our great contributors, including Matt Madden and Casey Camp. If you want to read the review in full, you can find it here. This entry was posted in Sestina-Related and tagged Arts, ben yagoda, Chronicle of Higher Education, Daniel Nester, elizabeth bishop, form, Incredible Sestina Anthology, Matt Madden, Poetry, press, Sestina, the chronicle of higher education, The Incredible Sestina Anthology. Bookmark the permalink.